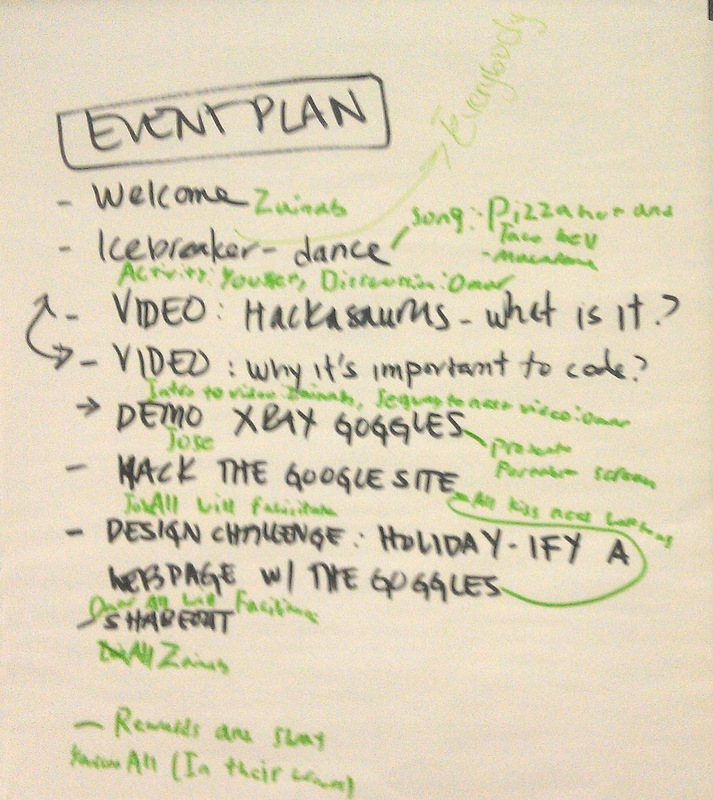 The Hive Mozilla Youth Ambassador training theme of the day today was facilitation- aka Hack Jam 101. Although the thought of running an event can be daunting- our team of Mouse youth were up for the challenge. Today was the third session in our training series. It was another session of work that I have not tried out before- but I consider this a prototype for a more formalized opportunity for youth. The first thing that we did today- was discuss the upcoming hack jams that the MoYo Ambassadors will help facilitate. First, on Monday they will be running a hack jam for their peers at Mouse- and then later in the year they will be helping TASC with several after school programs. 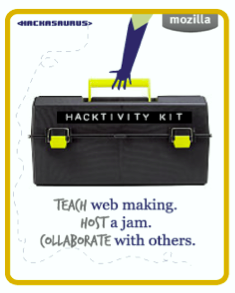 We started the training by reviewing the 5 steps to running a hack jam for youth, which is part of the recently launched Hacktivity Kit. 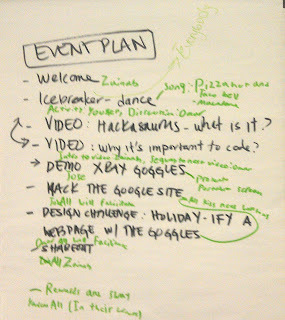 The 5 steps guide readers from preparation to facilitation of an event for youth using the Hackasaurus tools. 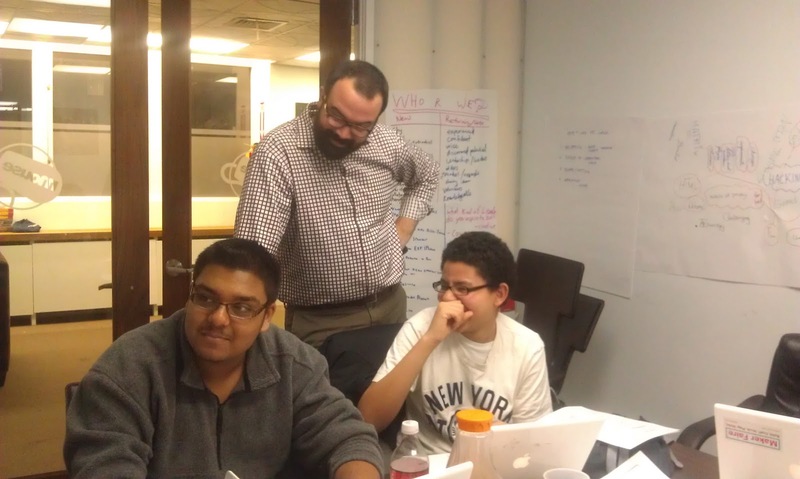 The team of youth were quick to note that a hack jam- is like a music jam session- where participants could riff off of eachother's work! 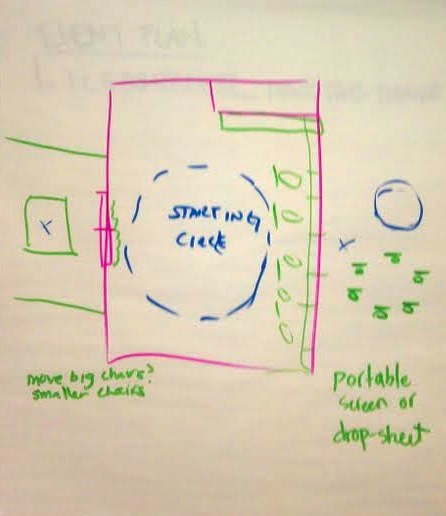 We then reviewed the logistics for the event on Monday. 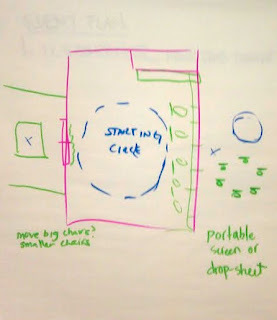 We looked at the event space and came up with several solutions for creating a maker space where participants can work in the "open". The group then set to work. 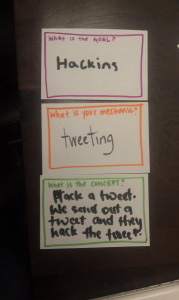 The first order of business was coming up with a good ice breaker to communicate what we mean when we say "hack". I made them play a game that Chloe Varelidi and I modded for the Media, Freedom and the Web festival. Each participant got 3 cards- a Goal, Mechanic and Concept card. The goal and concept cards were filled out in advance but the youth came up with the concept for the final activity. They came up with pretty creative solution including a tweet game- where users had to Hack a Tweet and a game where participants were presented with a problem in a photograph and had to edit the photo to in order to save the day. Ultimately- they decided to go with a dance battle game. We then paired off an practiced talking to each other about the project. I then challenged the to make videos of their pitches on the topic of What is Hackasaurus and Why is it Important to Code. Finally, we walked through everyone's roles for Monday and talked about what to do when troubleshooting. It was a great day and I know we all are looking forward to their first event on Monday.